It’s a cold rainy day here in Washington D.C. where I’m writing. If I’m thinking seasonally, the key word here is cold, not rainy. It’s winter and winter is cold, but not always rainy. Spring, summer, and fall are warmer, but it rains throughout them all. 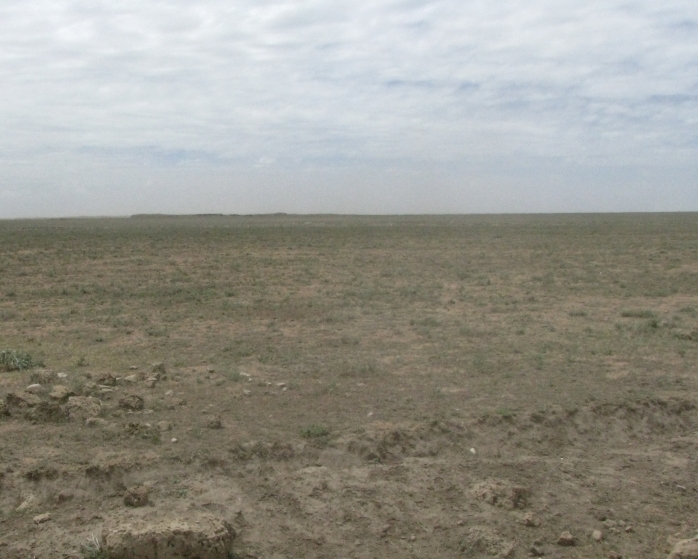 By contrast, seasons in the Serengeti are marked by rainfall and not temperature. In January in the Serengeti, the long rains are beginning. 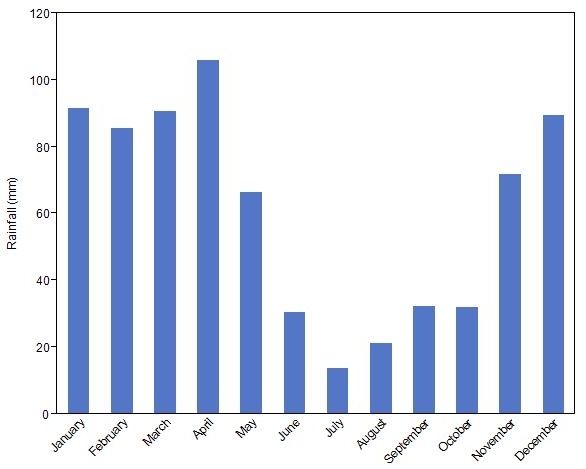 In some years they start as early as December, and in other years they don’t really pick up until February. During the long rains, there are thunderstorms most days, but they don’t last all day long. There is still plenty of sunlight, and during this time the grasses start growing in earnest. There are two water sources for the rainfall in the Serengeti. First is the Indian Ocean to the east. During the rainy season, the dominant winds are blowing from the warm ocean to land and bringing with them evaporated ocean water. As the air cools over the land, the water condenses as rain. In addition to water from the ocean, some rainfall in the Serengeti originates from Lake Victoria to the northwest. When the long rains come, the thirsty plains soak up the water and spring to life. Parched chalky brown land suddenly becomes a luscious green, and the migratory animals are drawn to the fresh grass. Over a million wildebeest, zebra, and Thomson’s gazelle appear on the open plains, and their presence draws the attention of lions and hyena, some of whom commute to the plains during the day and return home to the savanna at night. The long rains usually continue through April and into May. And then begins the dry season. From June until September or October, relatively little rain falls from the sky. During this time of the Indian monsoon, the dominant winds are blowing away from Africa towards the Indian Ocean, taking the rain with them. However, some rain from Lake Victoria’s waters continues to fall during the dry season. And it’s this rain that creates the characteristic rainfall gradient of the Serengeti that drives its patterns of life. 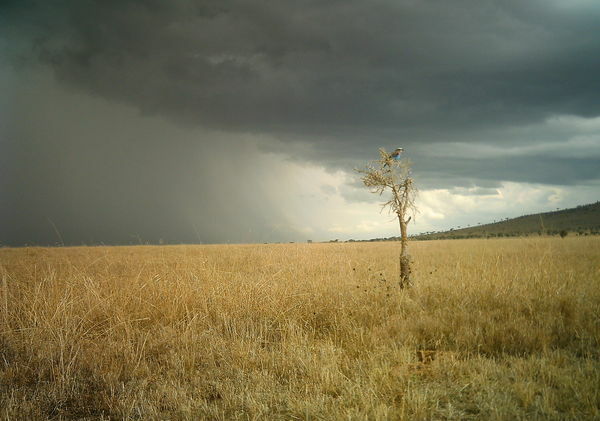 Rain falls heaviest close to Lake Victoria in the woodlands of the northwest, with less rain in the tree-and-grass savannas of central Serengeti, and very little rain in the treeless plains of the southeast. Our camera traps are situated where the tree-speckled savanna transitions to the open plains, and this transition is entirely due to the rainfall gradient, with more trees growing where there is more rain. This rainfall gradient is why in some images you see trees and in others there is nothing but undulating grass all the way to the horizon. From June to October on the plains, the grass dries up and the land turns yellow, and then chalky brown again. The wildebeest and zebra head back to the savanna and then trek north to the Maasai Mara in Kenya, closer to Lake Victoria where there is green vegetation year-round. Then in October or November, the short rains begin. These rains are variable and sometimes they don’t appear at all. But when they do, the plains green up and the grazers swarm in, only to retreat to the savanna edge again in December when there is sometimes a short dry lull before the long rains begin once more. Fire is actually an important component of savanna ecosystems. Fire kills young trees and seedlings, reducing the number of big adult trees that grow over time. Since trees compete with grasses for light and soil moisture, fire actually helps the grasses and keeps the savannas open. 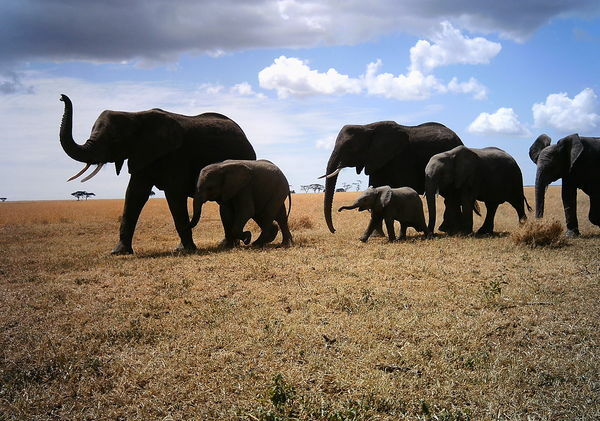 Dr. Rico Holdo, a professor at the University of Missouri, and his colleagues modeled and wrote about the interactions of fire, rain, grasses, trees, and the various animals in the Serengeti. The interactions get complicated quickly, but I’ll try to give you a run-down of how they see fire acting in this ecosystem. First, as I’ve mentioned, fire suppresses trees and encourages grasses. If you have both fire and rain, but no animals, then something interesting happens: the rain encourages the trees, but it encourages the grasses, too. As the grasses get taller, there is more fuel for fire, and the fires become more widespread and more damaging. These fiercer fires really hurt the trees – in fact, the damage from fires (because of more rain) is more important than the extra boost the trees get directly from the rain. So more rain actually means fewer trees. With me so far? We’re now going to throw animals into the mix – well, at least some of the animals. Let’s talk about the grazers. The grazers eat the grass, and this reduces the fuel available to fire. 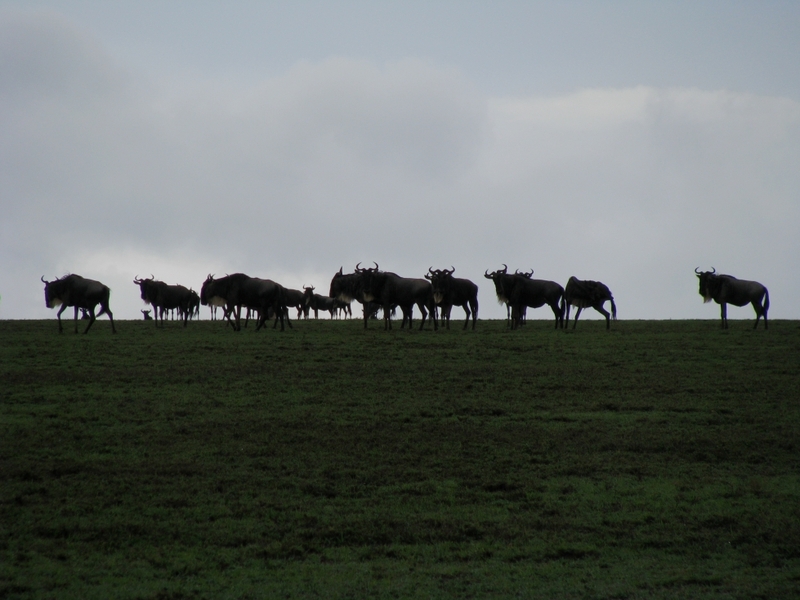 If you have a lot of grazers, like we do in the Serengeti, the grass height is reduced a lot. That means fewer fires and that rain once again helps the trees. Further, many of the grazers are migratory and move around the landscape a lot. They don’t eat the savanna grasses in a neat, tidy, organized way. Instead, they create a patchy mosaic of grass heights, and with those different grass heights come different susceptibility of patches of grass to burn. With rain and fire and grazers, we now have a landscape of grasses of different lengths, patchy fires, and some areas dense with trees and some areas with fewer trees. All that variation means more diversity – more diversity of the grasses, plants, and trees, and more diversity of the animals that rely on them. All that diversity due, in part, to fire. Holdo, Ricardo M., Robert D. Holt, and John M. Fryxell. “Grazers, browsers, and fire influence the extent and spatial pattern of tree cover in the Serengeti.” Ecological Applications 19.1 (2009): 95-109.